FCA India has announced its sales network expansion to 82 outlets across 70 towns and cities in the country. 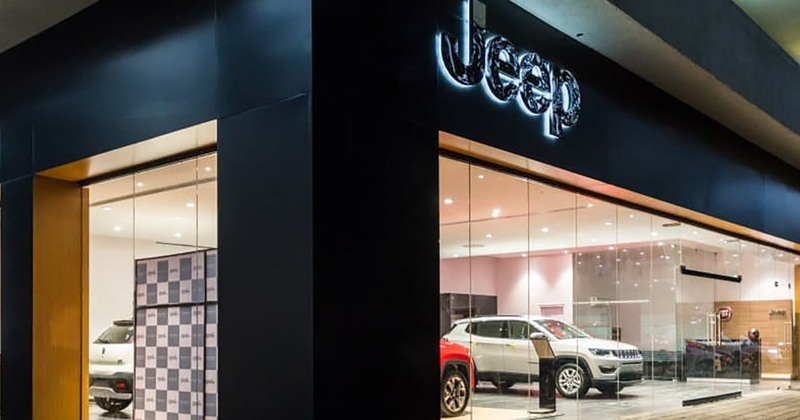 This encompasses FCA all-brand showrooms that deals in Jeep, Fiat and Abarth vehicles in leading cities of India and Jeep Connect showrooms, which means the premium retail outlets that have the customer base in satellite cities and towns. As a part of the carmaker's expansion strategic planning, the company has particularly increased showroom presence in Bengaluru, Goa, Ajmer and Patiala by inaugurating two new all-brand showrooms in Bangalore and a new all-brand showroom in Panjim, Goa. In addition to this, the carmaker has also introduced two new Jeep Connect outlets in Ajmer, Rajasthan and Patiala, Punjab and also extended its Mopar (motor and parts) workshop chain to 84 outlets in India. Recently a new Jeep Connect dealership in Warangal has been inaugurated by the FCA India. The Compass Sport Plus is the latest innovation as in Jeeps by FCA India, price labelled at Rs 15.99 lakh (ex-showroom, pan-India). The company is looking forward to launching much-awaited Compass Trailhawk in coming months. At an international font, FCA sells vehicles under the Lancia, Ram, SRT, Abarth, Alfa Romeo, Chrysler, Dodge, Fiat, Jeep, and Maserati brands.